People with peanut allergy can protect themselves from allergic reactions by taking peanut powder daily, a research team has found. The researchers explained that taking peanut powder helped the patients tolerate accidental intake of peanut. The study involved 551 patients, aged four to 55, with peanut allergy. One-third were given a placebo, while two-thirds were given peanut protein powder in increasing amounts until they reached the maintenance dose equivalent of one peanut a day. The findings showed that participants were able to tolerate the equivalent of two peanuts per day after treatment for a year. “We were pleased to find that two-thirds of the people in the study were able to tolerate the equivalent of two peanuts per day after nine to 12 months of treatment, and half the patients tolerated the equivalent of four peanuts,” said Stephen Tilles, study co-author. 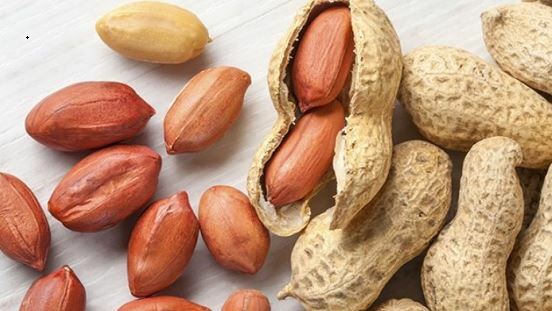 “We’re excited about the potential to help children and adolescents with peanut allergy protect themselves against accidentally eating a food with peanut in it. The researchers, who described the findings as a “breakthrough”, say the new treatment is ready for review by the US Food and Drug Administration. “This is not a quick fix, and it doesn’t mean people with peanut allergy will be able to eat peanuts whenever they want,” said study co-author Jay Lieberman.